Statistically, 25% of all mobile apps are used only once and then get abandoned forever. If an app was opened only once in the first week after it was downloaded, there is a 60% probability it won’t ever be used again. Sounds like an evil curse, right? The truth is that the mobile application market is so saturated we need some magic to make our app succeed. By reading this article you will learn 5 powerful spells that drive mobile app engagement and increase user retention. These two are primary mobile app marketing goals. The moment a user is browsing a store for something new is the right time for you to act. Use an app store listing to grab their attention. That’s how you charm users and get downloads. The first sentences are vital. No one wants to read manuscripts instead of short app listings. Put the values of your product at the front of the description. Consumers love apps that solve their problems and make life easier. So talk benefits, not features. Dynamic things are always more entertaining to watch than static. This works for your app store listing as well. Even well-designed screenshots will be more appealing when accompanied by a short video tour. One minute can be enough to prove that your app is worth downloading. 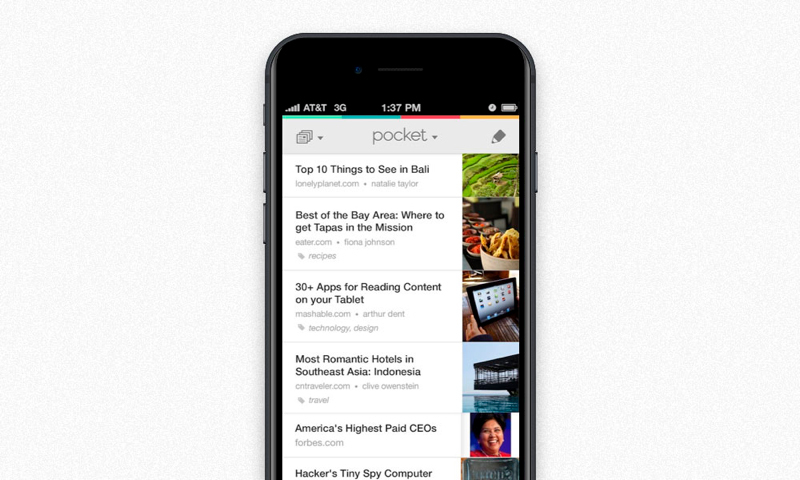 Look at Pocket. Their short video tutorial is about how useful the app is. If any doubts are left when the movie ends, the screenshots will finish the sell. Spell #2. Love & care! First impressions are everything. Try hard to make it as pleasant for users as possible. If you chose a freemium model, do not jump to in-app purchases instantly. Let customers learn about the products benefits during a free trial. Build user-friendly UX to magnetize your mobile audience. Onboarding is essential for mobile app marketing. It helps to become familiar with an app. It’s the way customers explore features and navigation. Well-designed onboarding motivates to perform certain tasks and achieve specific goals. For example, you can teach your users how to add items to the shopping cart and make an order. Make it possible to go back to onboarding when necessary. Well, this is self-explanatory. The faster your app loads the better it is. You’d be hard pressed to find someone who will appreciate 20-second loading. Use specific animations to speed up navigation. Spell #3. You shall not forget! All of a sudden you may realize that your audience is fading away. When users start to abandon your app, it’s high time to bring them back using push and in-app messaging. But there is one rule to obey: keep your messages personalized. Impersonal notifications are annoying and tend to be the reason users delete an app. Push messaging is a truly ubiquitous communication channel. It’s aimed at catching user’s attention and bringing them back to your app. According to Localytics, a well-executed push campaign increases user retention by 56%. Moreover, it drives 88% more app launches. In-app messages are triggered by user actions and are displayed inside the app. For example, after a customer adds a 5th item to a cart, he sees a rich media banner offering a discount. In-app and push notifications are perfect companions that significantly increase user retention and mobile app engagement. Don’t ignore these tools when running a mobile app marketing campaign. You can address users with notifications only after they opt-in. Be polite when asking for permission and follow the rules. Be timely: don’t ask a newcomers to subscribe before they get some kind of positive experience within the app. Explain, what is the reason to subscribe and how exactly it is beneficial for customers. Deep links in mobile apps are the same as URL links in browser. They redirect users to a specific page within the app. Deep links are great to keep users interested and drive more app engagement. Imagine a customer who received a promo code and looking for a way to use it. Show him a push notification or in-app message containing a deep link. By clicking on it, a user will see an app screen inviting them to use the promo code. That’s easier and far more convenient than going to a web page. Social networks is magic at its finest. They are crucial for every mobile app marketing campaign by making an app popular and broadening an audience drastically. Integrate specific sharing buttons into your app. This will make your app content easy-to-share. More buttons drive more engagement, so be sure to add at least Facebook, Twitter and Google Plus. Companies tend to ignore what their customers share in social networks. Don’t do that, interact with your people. Follow them as they follow you, reply to their comments, do shoutouts. Listen closely to what users say to win their trust and loyalty. Your efforts will be rewarded. Tracking feedback is also a must, just like bug tracking. We all love to be complimented and receive gifts. Spark users’ creativity and incentivize them to achieve goals in your mobile app. They will definitely share their progress with friends and you will gain more visibility. Build a reward system. Use coupons, premium statuses, badges, interface changes. It all depends on what kind of app you have. Look at Yousician. This app helps you learn guitar. There are workouts and lessons of any kind inside. 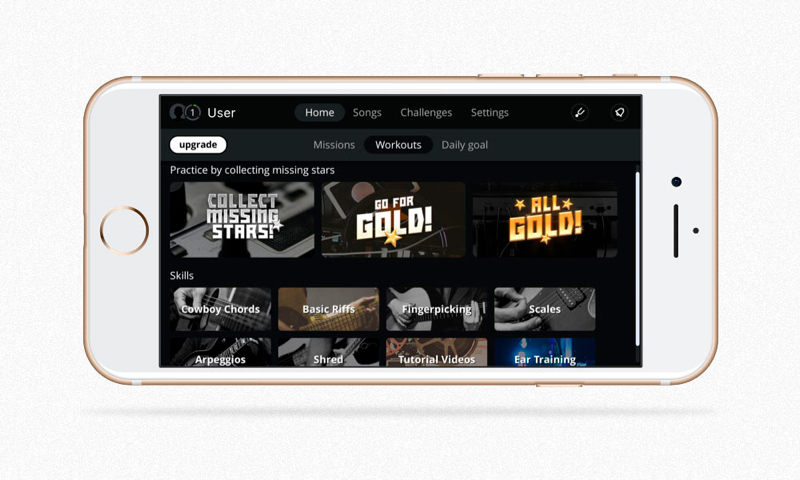 It makes it possible to test your skills and share achievements in a user-friendly way. Mobile App Marketing Spell #5. I see you! Even stellar apps lose part of their audience. You can’t stop users from leaving, but you can find out why they leave and win them back. 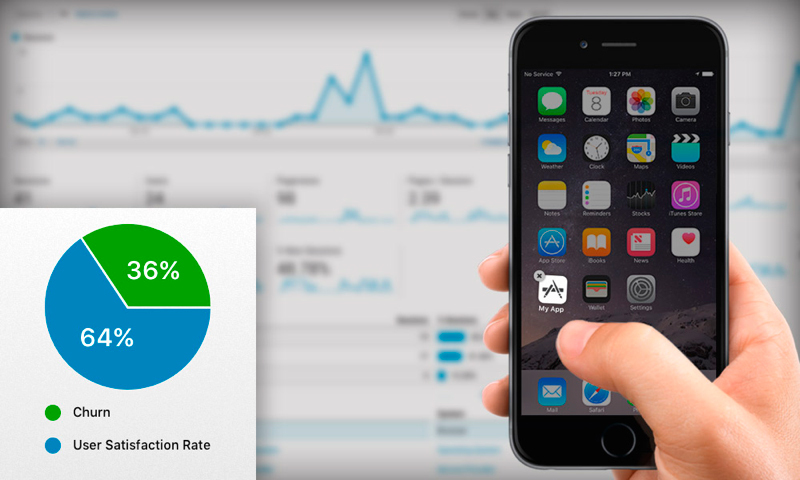 Integrate one of the mobile analytics SDK to your app. It can be AppsFlyer, Flurry, Mixpanel or any other. Track user behavior, session duration, and other stats. It will help you find pitfalls in UX and eliminate them. When you know what makes your customers unhappy, you can fix it. That’s how you re-engage those users who abandon your mobile application. 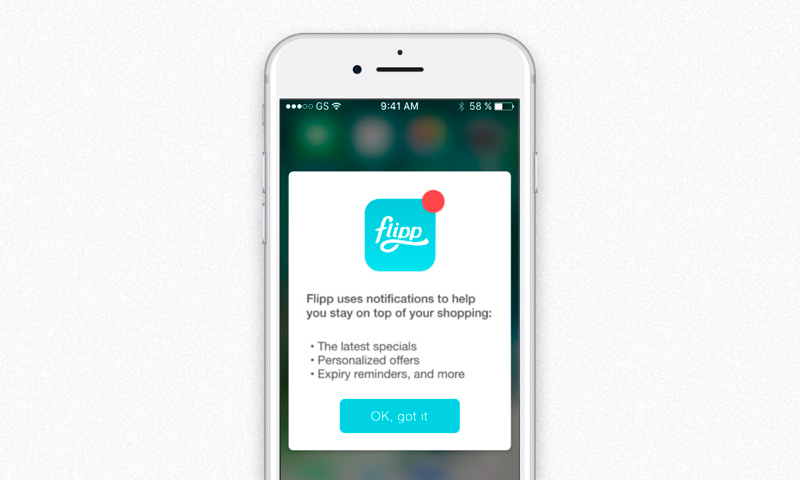 Push notifications paired with in-app messages are a one-stop shop to retaining the audience. Email campaigns are still fine too. A perfect start doesn’t ensure your app will be always on the top. Business Insider claims that users are more likely to rate updated apps higher. Do you really want your app to be in the forefront? If the answer is yes, make sure it’s updated on a regular basis. Updates boost app store visibility while release notes show that you really care about your audience. Don’t abandon your people and they will not abandon you back. Remember, new is always better as long as it is beneficial. Release new features to enrich the UX, but make sure it will pay off. Sometimes a minor release results in major profits. Mobile apps are made for people and they live as long as people use them. Don’t chase short-term returns, build long-term relationships with users instead. It’s not a big deal to get thousands of downloads when an app is released. Building a loyal audience is the real challenge, but it will pay off in spades. Users have seen lots of apps and they are tired of mediocrity. Despite the fact that most people are not immune to these 5 spells, they won’t work if your app is below the average. Use them wisely by yourself or ask our team for help. We are always happy to lend a hand.